Instantly compare and book over 70 cab fleets across London. Visit http://www.kabbee.com and download the app. Making Minicabs Mighty! City-dwellers are handing London over to the tourists to enjoy this summer, as 86 percent of locals say they intend to jet off in search of sunnier climes in the next few months. London’s travel plans have been revealed by Kabbee, London’s minicab comparison and booking app, to celebrate its new partnership with the world-leading community hospitality app Airbnb. The poll also revealed that Londoners are not scrimping on their choice of accommodation either, with the majority opting for a hotel (31%), followed by any type of resort (23%), or a villa or cottage (16%). Campsites were the least popular choice of holiday accommodation, with a tiny 0.8 percent keen to peg down during their time away. To understand when the ‘holiday buzz’ begins, Kabbee recently found that around one in five British holidaymakers felt that their holiday started when the cab arrived to take them to the airport (17%), but almost a quarter of holidaymakers said it was arriving at the airport with plenty of time to spare, that gave them that bye-bye Britain buzz (23%). 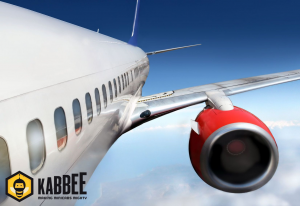 Kabbee’s CEO & Founder, Justin Peters comments on London’s holiday plans: “Every year we see around 25 percent of all of our bookings going to and from London’s five airports. Admittedly, many of these are for business travel, but we know from speaking to our drivers that many airport passengers are taking a well-deserved break. ** In order to redeem a voucher, Kabbee users must earn 400 miles on the app to become a GoldBee. Kabbee’s users earn one mile for every £1 they spend, and earn more miles for referring friends via the app, booking an executive cab or travelling to/from the airport.